Bomb double; large, opens clear deep crimson. 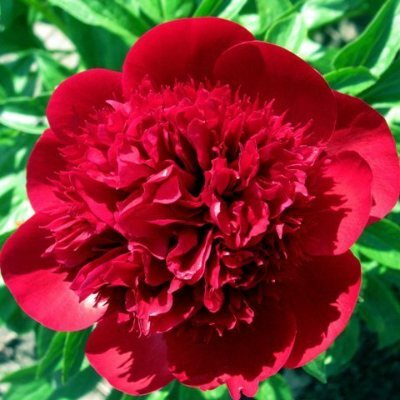 The flower is of exhibition quality, excellent substance, waxy, with sweet spicy fragrance. 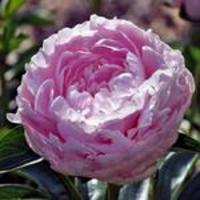 Excellent habit, vigorous, good increase and free flowering; grows a medium height, broad bush. Stout stems, foliage and stems durable, although leaflets may show some discoloration in the last half of the season, especially during summer heat and water stress. It does not require support under normal growing conditions. 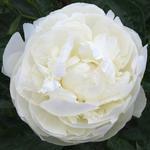 A popular cultivar due to its outstanding performance. 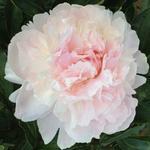 Considered by some to be one of the top peony cultivars available. 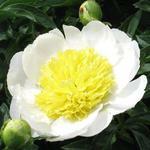 Suitable for commercial cut flower production. Gold Medal 1956. Herbaceous Hybrid. Parentage: P. lactiflora x P. officinalis. Pollinate with tetraploid.